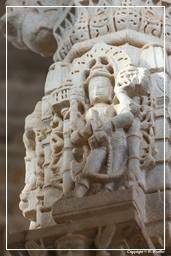 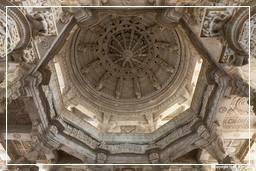 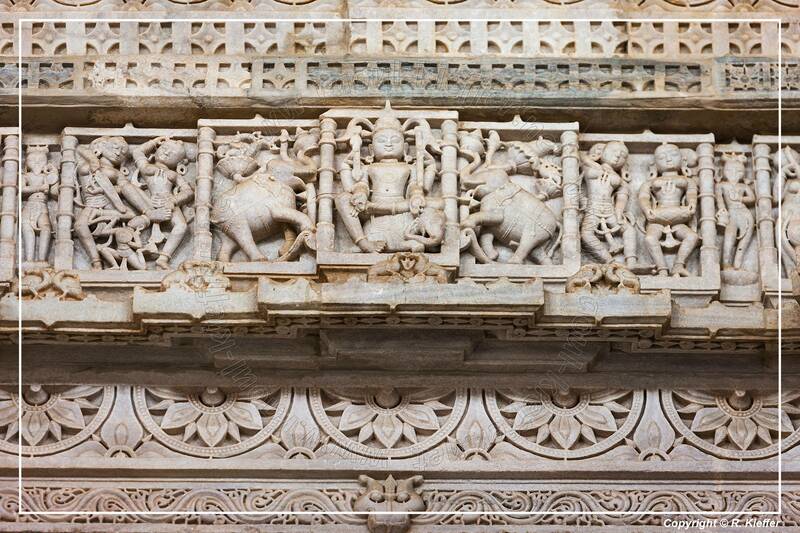 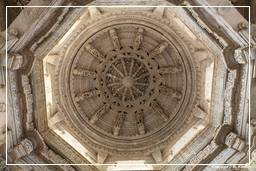 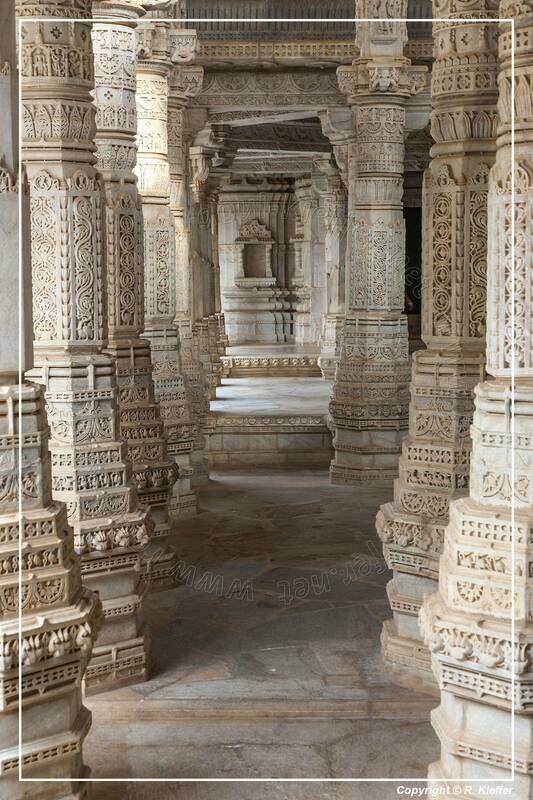 Ranakpur is widely known for its marble Jain temple, and for a much older Sun Temple which lies opposite the former. 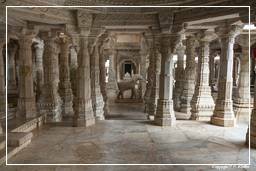 Light coloured marble has been used for the construction of this grand temple which occupies an area of approximately 60 m x 62 m. The temple, with its distinctive domes, shikhara, turrets and cupolas rises majestically from the slope of a hill. 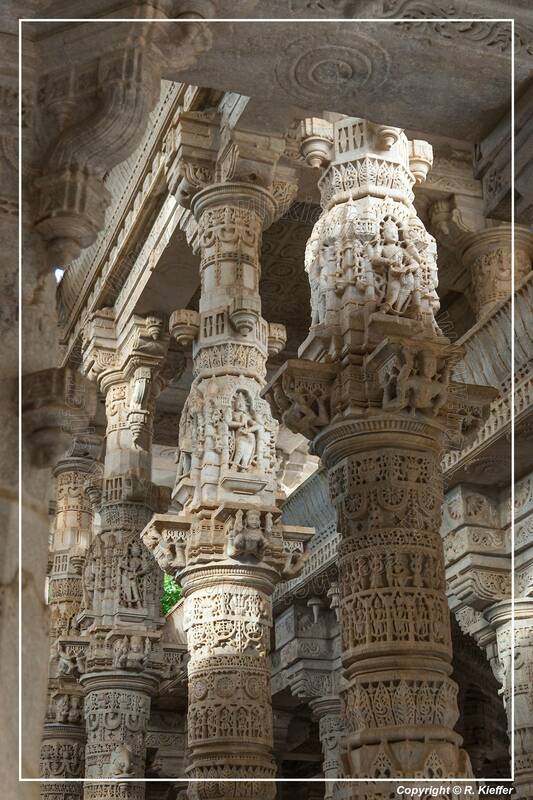 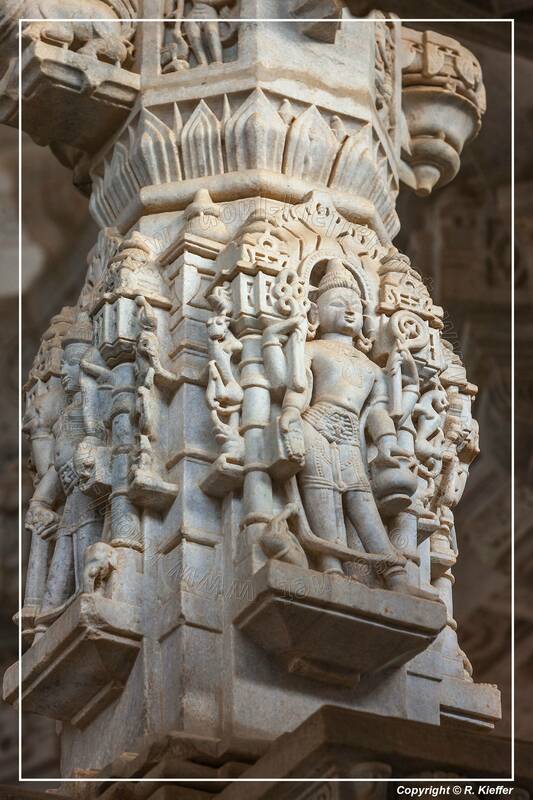 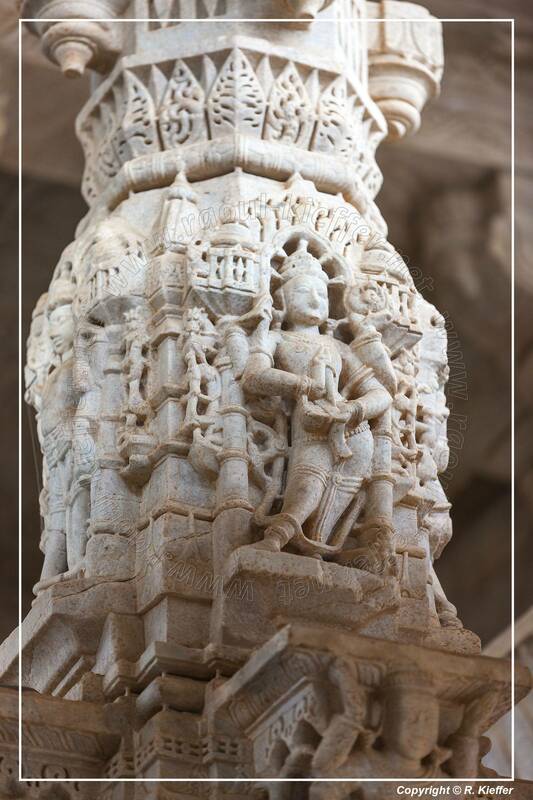 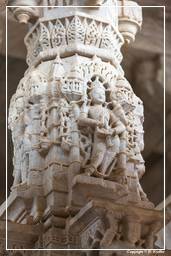 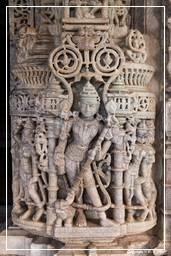 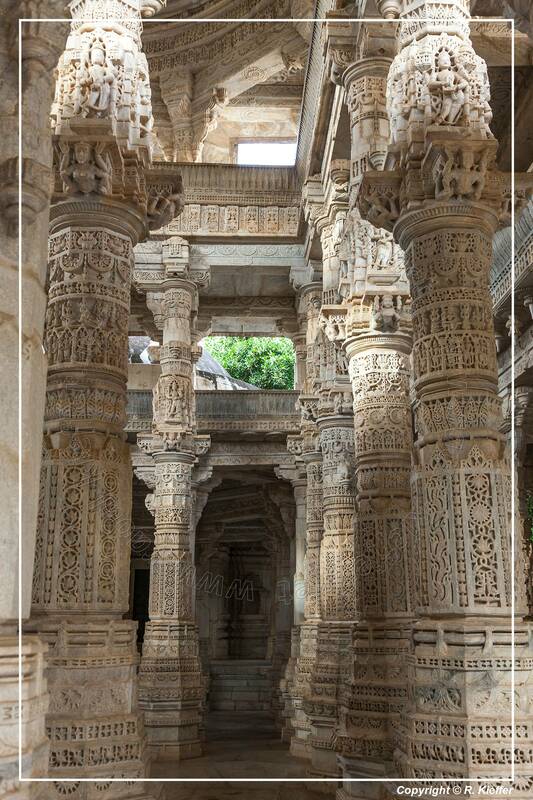 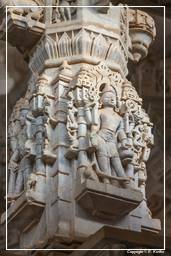 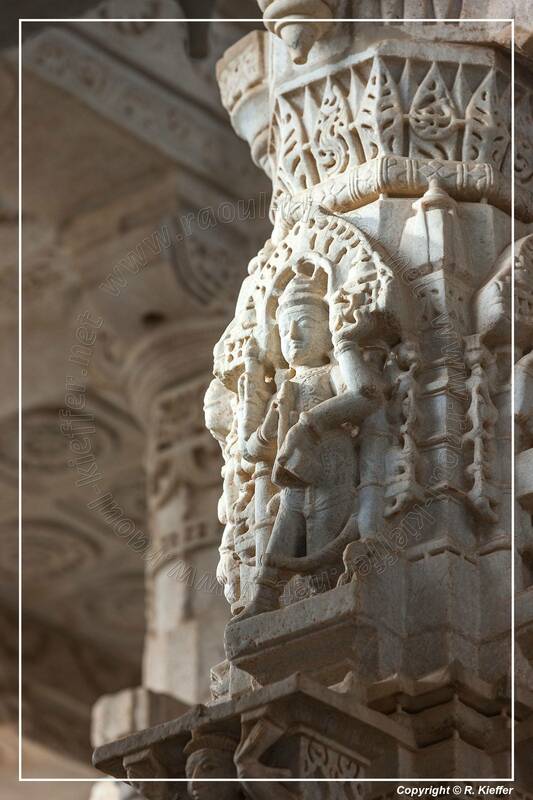 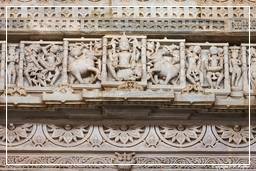 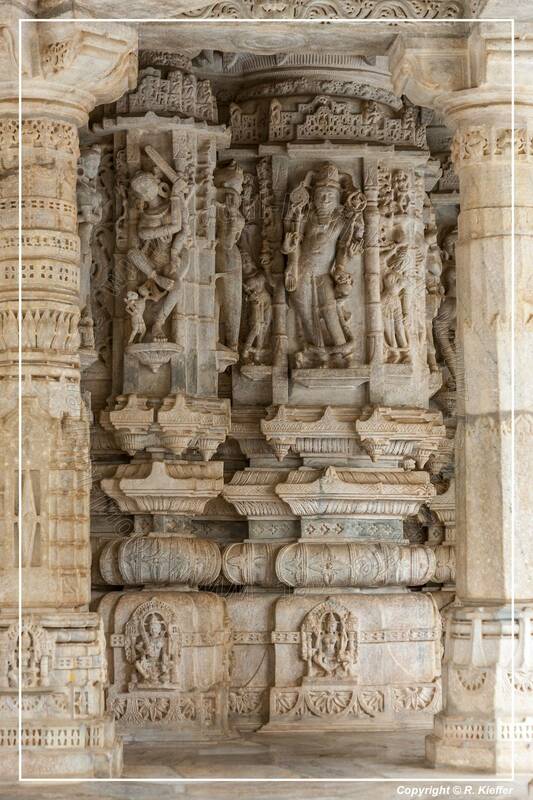 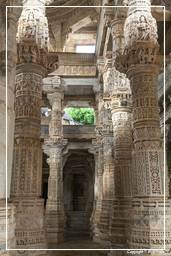 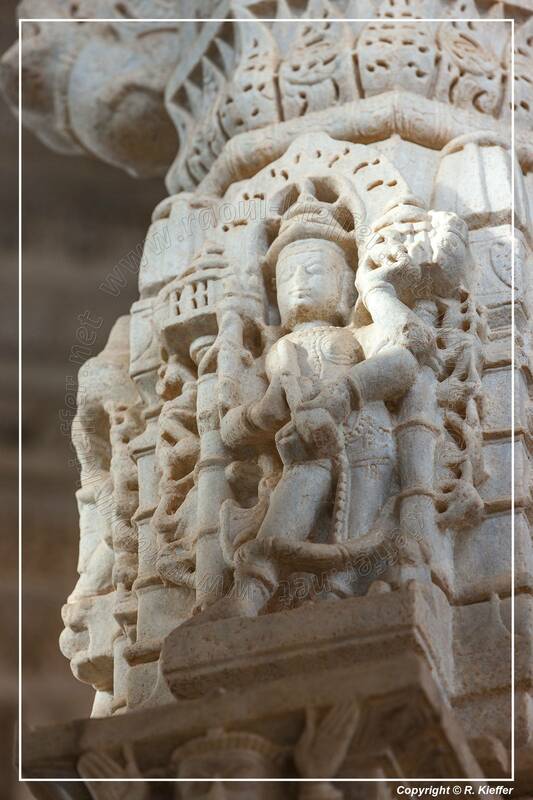 Over 1444 marble pillars, carved in exquisite detail, support the temple. 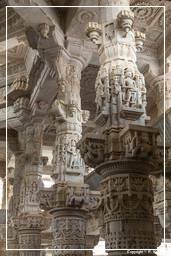 The pillars are all differently carved and no two pillars are the same. It is also said that it is impossible to count the pillars. 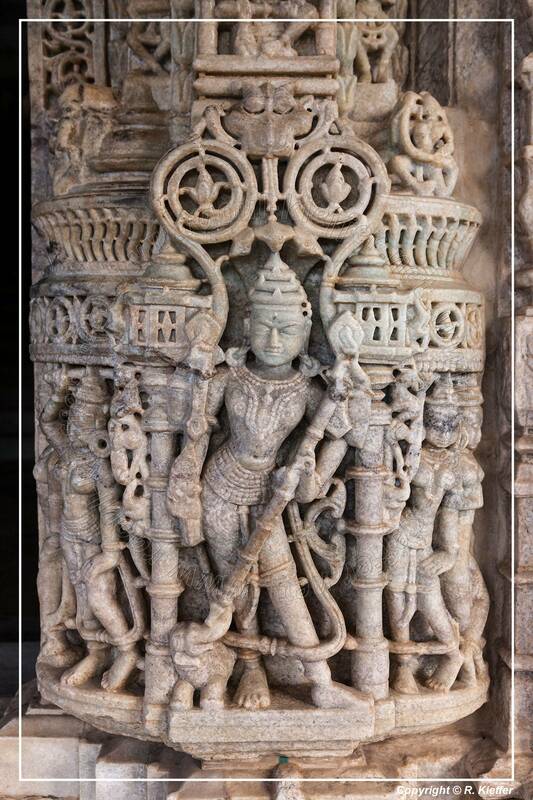 Also all the statues face one or the other statue. 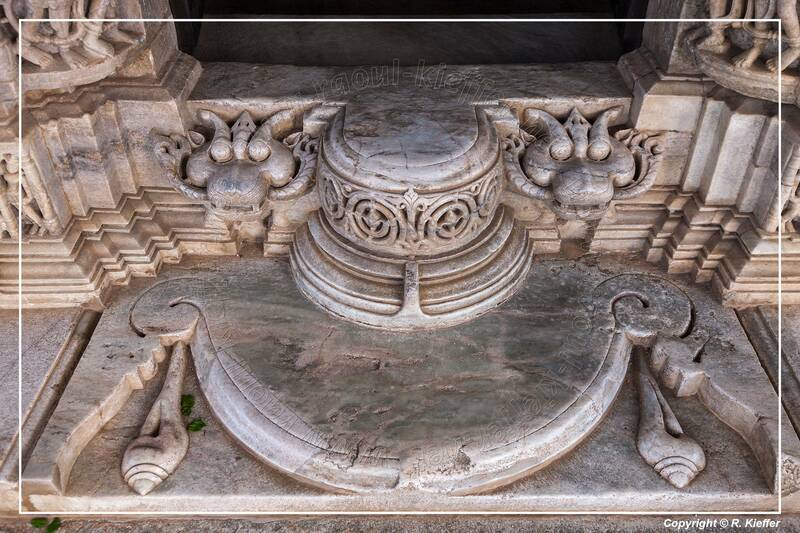 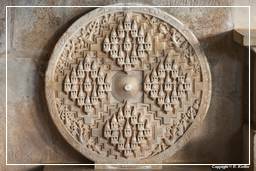 There is one beautiful carving made out of a single marble rock where there are 108 heads of snakes and numerous tails. 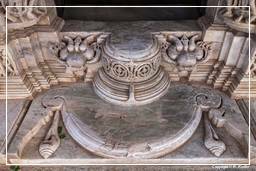 One cannot find the end of the tails. 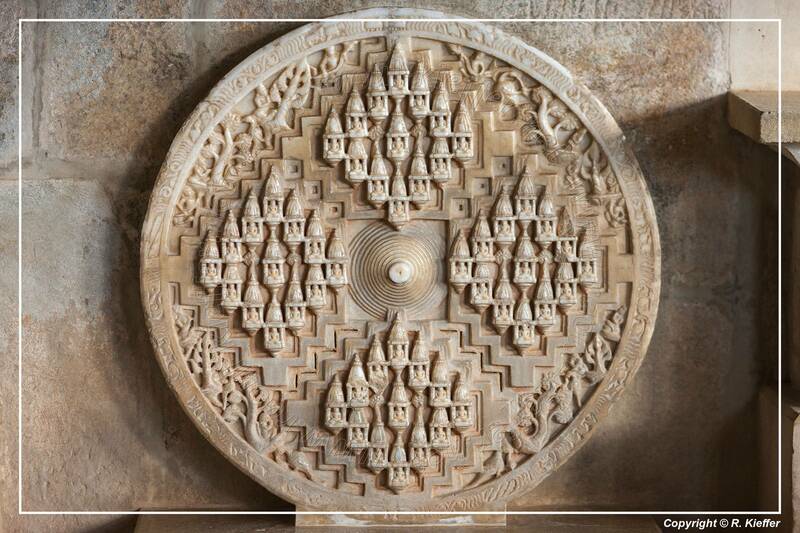 The image faces all four cardinal directions. 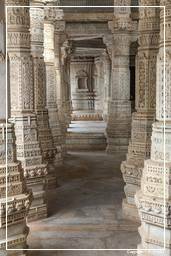 The dating of this temple is controversial but it is largely considered to be anywhere between the late 14th to mid-15th centuries. Inspired by a dream of a celestial vehicle, Dhanna Shah, a Porwad, is said to have commissioned it, under the patronage of Rana Kumbha, then ruler of Mewar. 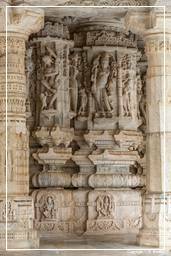 There is an inscription on a pillar near the main shrine stating that in 1439 Deepaka, an architect, constructed the temple at the direction of Dharanka, a devoted Jain.